Drivers across Toms River, Brick, and Freehold can excited: The newly redesigned 2019 Volkswagen Jetta is finally here! If you’re in need of a compact car, this ride has it all, from an efficient powertrain to comfy seats to a smooth ride. 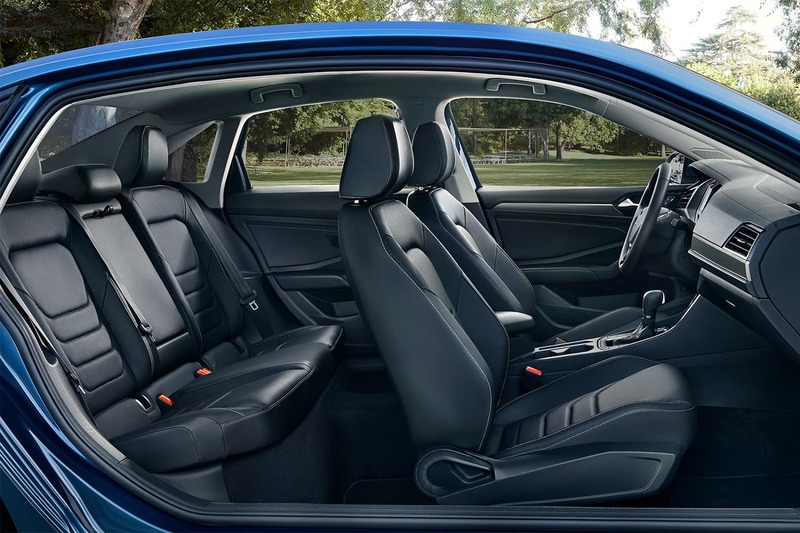 In this trim level comparison, you’ll learn more about the various features you’ll find at each of the 2019 Volkswagen Jetta trim levels. At Toms River VW, we want you to understand exactly what you’re getting at every level, so you can make an informed choice! Contact us if you’d like to learn more. The base trim in this lineup is the Volkswagen Jetta S, and it includes quite a few standard conveniences. 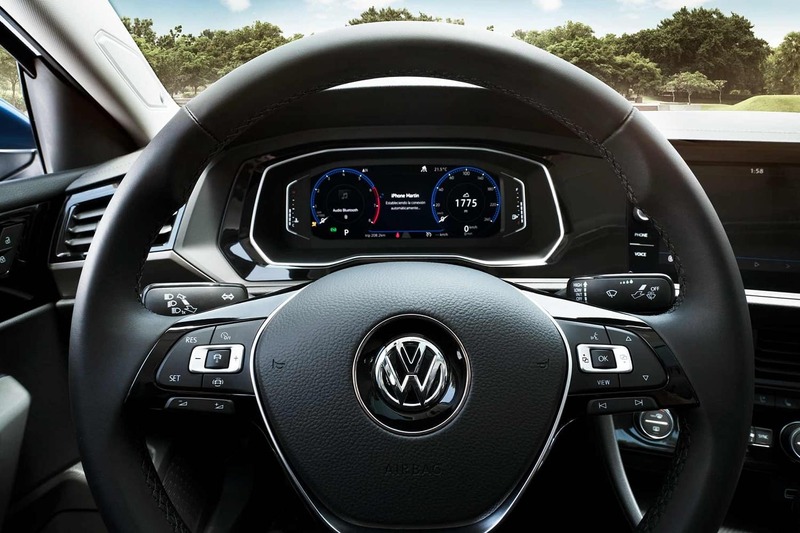 The VW Car-Net® infotainment system comes standard with a responsive 6.5-inch touchscreen, as well as smartphone connectivity options via Apple CarPlay™, Android Auto™, and MirrorLink®. The VW Jetta SE makes your daily driving routine run smoother with keyless access and push-button start. If you have the key fob in your pocket or purse, you can enter the car without needing to fumble for keys. The same goes for starting the car: Just put your foot on the brakes, press the button, and go! Another feature we think you’ll like is the panoramic sunroof. You can tilt it open to let out the heat after your car’s been sitting in the hot summer sun, or you can slide it open and bathe the cabin in fresh air and natural light. If you’re searching for sleek style, the VW Jetta R-Line has it in spades. This trim level adds sport-style features to the design, including a set of bold 17-inch R-Line alloy wheels. Theses rims are one inch larger than the standard wheels and really enhance this ride’s profile. Other design tweaks include black grille accents, black-painted side mirrors, and a sleek rear sport valance. Fog lights are added to the front, and inside, two-tone leatherette seating surfaces (shades of Titan Black and Storm Gray) add some welcome contrast to the cabin. In the VW Jetta SEL, your audio and visual experience will be taken to a whole new level. You’ll really feel your music with the eight-speaker BeatsAudio® premium sound system. And, the cabin’s 10-color ambient lighting gives this car atmosphere. Another addition is the VW Digital Cockpit. Measuring more than 10 inches, this digital substitute for the traditional instrumental panel shows all the information you need in high resolution. You can custom-set everything you see, from fuel economy to travel time, and more. It doesn’t get more premium than the Volkswagen Jetta SEL Premium. 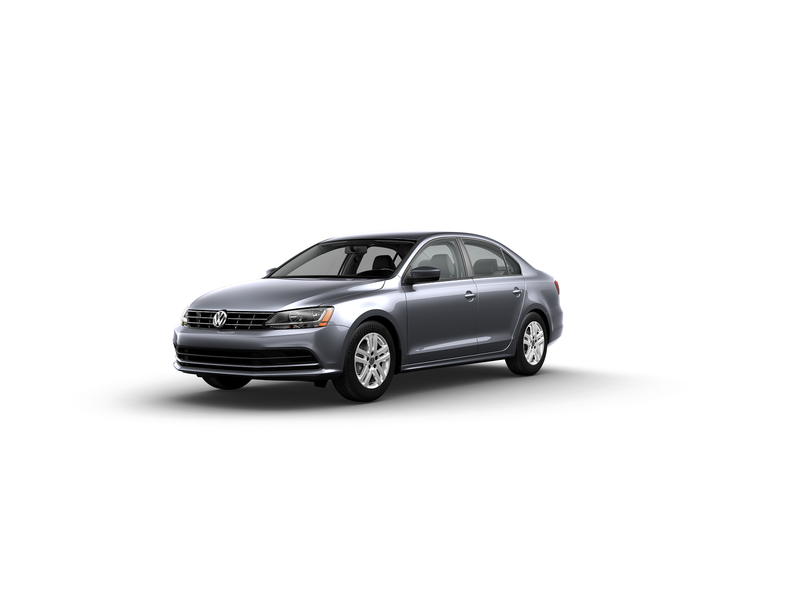 It comes standard with just about every feature you could want in a VW Jetta. Luxurious perforated leather seats come in three patterns: Titan Black, Storm Gray, or a rich two-tone Titan Black and Dark Beige combination. On the outside, 17-inch metallic alloy wheels with premium finish look sharp and always in motion—even when the car is at a stop. Top-of-the-line design really helps this trim stand out. Test Drive Your Favorite 2019 Volkswagen Jetta Trim Levels! Now that our trim level comparison has given you a look at all five 2019 VW Jetta trims, are you ready to try them out for yourself? Drivers near Toms River, Brick, and Freehold who are interested in one or more of the trim levels can schedule a test drive here at Toms River VW. Our team of experts will get you behind the wheel for a test drive and answer all your questions, so you can choose the perfect 2019 Volkswagen Jetta trim level for you!